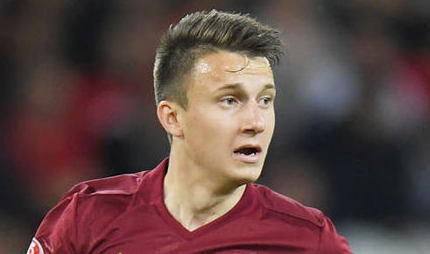 Aleksandr Sergeyevich Golovin, one of the brilliant professional football Player is popularly named as Aleksandr Golovin who plays for CSKA Moscow Football club and Russia National Team. He is well known Russian celebrity. He is famous for contribution in professional life. He is best at Midfielder position. Currently, he is playing in CSKA Moscow. He had played for DYuSSh Kaltan, Metallurg Novokuznetsk and many more clubs. He is right foot player. His Shirt number is 17. Mario Fernandez is one of his best teammate. He had represented himself in Russia for the World Cup 2018 as a part of Russian national team by showing his talent to all. 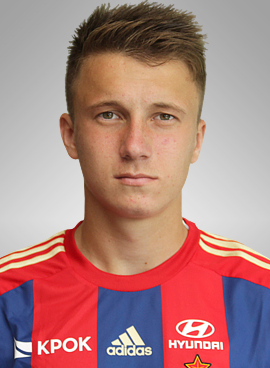 Passionate and enthusiastic player, Aleksandr Golovin was born on 30th May, 1996. He was born and raised in Kaltan, city of Russia. His full name is Aleksandr Sergeyevich Golovin. His parental details have not been revealed yet by him. Only the information that his father is miner and his mother is accountant is known. As he was born in Russian, his nationality is Russian. His astrological sign is Gemini. His nationality is Christian. Since childhood, he was very interested in playing football. At the small age, he began his career with football. Golovin has got a great personality. Talking about his body, his height is 1.78 m. His weight is of 69 Kg. His eye color is Grey and hair color is Blonde. He has balanced body with good health. He has attractive body figure. His smiling face and charming personality has helped him to gain the attention of all the viewers. In the year of 2001, at the young age of 5, he began his youth career with DYuSSh Kaltan. He remained in this academy (DYuSSh Kaltan) for 8 years till 2009. After playing for 8 years he joined Metallurg Novokuznetsk's youth team. He played for 2 years in this club and then moved to CSKA Moscow in the year of 2012. On 9th April 2016, he scored his first goal for CSKA against FC Mordovia Saransk. After playing for two years, Golovin was upgraded to the senior squad in 2014. On March 14, 2015 he made his senior team debut against FC Mordovia Saransk. Then, Golovin extended his contract with this club, CSKA Moscow at the end of 2016 season which will keep him in the club until the end of 2020 season. Moving towards his international career, he has earned 21 caps with the senior team scoring 3 goals. He had also represented himself in his national country, Russia in both senior as well as junior levels in many tournaments. He was also the member of the team who won the 2013 UEFA European Under-17 Championship with Russia national under-17 football team. His name was also enlisted in the squad of Russia national team in this World cup 2018 Russia. He had played altogether 4 matches. He made his world cup debut against Serbia on June 14, 2018. Altogether he had made 1 goal in this World cup. The net worth of Golovin is estimated to have $5 million in 2018 with all of his properties and incomes. His salary is kept in privacy but there is no doubt in the mind of his supporters and followers he is satisfied with his earning. His current market value is €18 million as of 2018. He had earned 21 caps till now. on 7 June 2015, his debut with Russian National football team came against Belarus. He had won UEFA European Championship for under 17 with the Russian national under 17 team. He had extended his contract with the club CSKA Moscow till 2020-21.